It Came From YouTube Classic: WWF European Rampage on the Amiga - WrestleCrap - The Very Worst of Pro Wrestling! 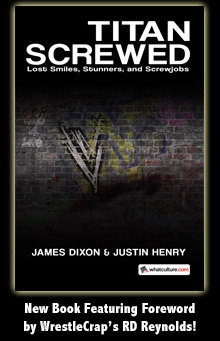 I thought I knew of pretty much every WWF video game ever made, but even I didn’t recall this one. And I’d remember playing something that looked as horrible as this! I also hope I’d remember a ring THAT freakin’ big. And what’s this? SEAN MOONEY! MUST DOWNLOAD AMIGA EMULATOR IMMEDIATELY! 7 Responses to "It Came From YouTube Classic: WWF European Rampage on the Amiga"
The graphics look fairly similar to RAW on the Sega Genesis. That’d make sense, since the technology of the two systems are similar. Ey, RD, where do I click to watch the video? 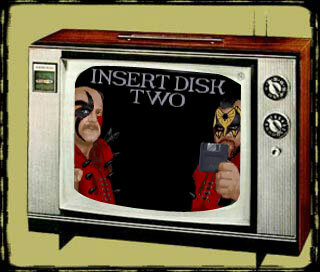 All I see are Hawk and Animal telling me to switch to disk two. I had this one, it was utterly appalling. I think it was only released in the UK/Europe, so all you Stateside Crappers were spared this. I noticed at the end Mooney “says” Madison Square Gardens, with an “s”. Also, how disappointing is it that the last thing you see is not your guys holding the belts high, but Jimmy freakin’ Hart? ?